Early on in his career Devant became a member of the famous company of Maskelyne & Cook and performed regularly at the Egyptian Hall, Piccadilly. He eventually became such a part of the organisation that in 1905 he was taken into partnership with John Nevil Maskelyne himself. Devant was personally responsible for introducing Robert Paul's Theatrograph into the programmes. In fact, he took the initiative in acquiring one of the first projectors Paul made, paying for it out of his own pocket, as Maskelyne at first had no faith in the new 'animated photographs'. The Theatrograph was introduced at 'England's Home of Mystery' on 19 March 1896, two days before Paul himself began his first commercial performances at Olympia. Maskelyne must soon have warmed to the idea of including films into his repertoire for he took it upon himself to introduce each picture and comment upon it in a most lively and entertaining manner. The films were accompanied on the piano by F.J. Cramer. In July, or thereabouts, Devant extended his film activities by giving performances at private homes for a fee of 25 guineas, still maintaining his association with Maskelyne at the Hall in Piccadilly. He also toured Great Britain with a magical troupe, of which the Theatrograph formed a part. 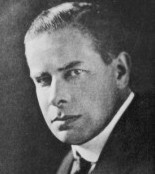 The films were projected by an experienced lanternist, C.W. Locke, who was well known in the lantern world for his numerous innovations in optical projection. Devant performed in some of Paul's early films, including The Mysterious Rabbit; The Egg Laying Man; and Objects Produced from Paper, all made in 1896. Short sequences from the first two films are still to be seen in Short's Filoscope and the Casler-Lumière Kinora, devices based on the principle of the simple flick books which were then so popular. Devant was also filmed in one of his magic acts by Georges Méliès, (D. Devant, prestidigitation; cat. no. 101). The two men had known each other in London and also in Paris, where Devant made regular trips in quest of new films, as French films at that time were among the best in the world. Devant sold a Paul Theatrograph to Georges Méliès in 1896. Devant attempted film-making himself, and was the author of several manuals on conjuring.